Well, that was a long old night for us back in the UK. We hope you enjoyed that, and later on Saturday the real stuff begins. Bring on the live sport! Alex Haworth: Thought that was a good opening ceremony to be honest. Way better than London 2012 in my opinion. 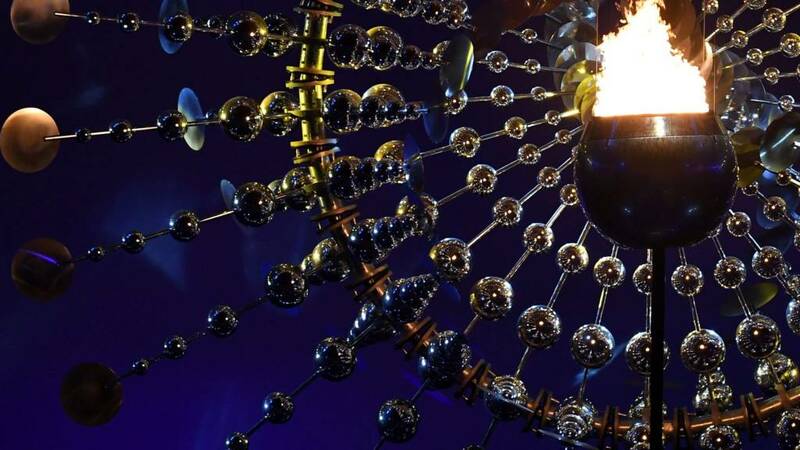 Ali Clarke: Superbly hypnotically beautiful sculpture surrounding the #OlympicFlame#Brazil#Rio2016    Good luck & well played. The opening ceremony truly reflected the culture of Brazil and Rio. There was focus on environment and sustainability but it was full of passion. People like sport and enjoy life here. Coming from America, we are exactly the opposite which is work, work, work. It was reflected beautifully in a simple way. They didn't spend as much money as Beijing or London and it proves you don't have to spend to make something spectacular. A massive flash of fireworks ends the night in Rio. The sculpture around the flame is really quite something. Brazilian Vanderlei de Lima is best known for an extraordinary moment in the 2004 Olympics. He was winning the marathon by a huge distance of some 20-30 seconds when a defrocked Irish priest Cornelius "Neil" Horan tackled him and he only won bronze. More fireworks, the flame is lit and the Games are officially open! And now it's handed on to marathon runner Vanderlei Cordeiro de Lima - WHO LIGHTS THE FLAME! Gustavo Kuerten looks hugely emotional here. What an honour, what a moment. Badminton player Gabby Adcock's beaming smile says it all.